As China has risen to prominence in international tourism its airlines have become world leaders. Among the best is Hainan Airlines, based Hainan province, the largest special economic zone in China. Founded in January, 1993, it is now one of the fastest developing airlines in China, committed to providing passengers with holistic, seamless and high-quality service. Since its inception, Hainan Airlines has achieved 25 years of safe operations - equivalent to more than six million hours of safe flights. Hainan Airlines’ fleet is composed mainly of Boeing 737s and 787s as well as Airbus 330s. As of December, Hainan Airlines and its holding subsidiaries had over 400 aircraft in operation from plenty of bases, including in Beijing, Tianjin, Xi’an, Chongqing, Kunming, Guangzhou, Shenzhen, Haikou, Hangzhou, Changsha, Urumqi and other points. Hainan Airlines and its holding subsidiaries’ extensive network of routes covers China, numerous points in Asia and extends to Europe, North America and the South Pacific, operated on 1,800 domestic and international routes to over 220 cities worldwide. Its renowned international business class service features comfortable lie-flat seats, fine cuisine and the latest in in-flight entertainment. But the airline is not resting on its laurels. Just last month, the carrier received its latest A330-300 aircraft - the 18th of the aircraft in the fleet. This Airbus A330-300 is able to contain 303 passengers, with 279 seats in economy class and 24 in business. All the business class seats feature a herringbone configuration that allow passengers to enjoy lie-flat beds and highly increased privacy, with direct access to the aisle. All passengers can experience the Thales Avant in-flight entertainment system, power supply of 110V and USB port. As it grows its international reach, Hainan Airlines is also signing up some world-class partners. Virgin Australia recently became the latest, signing a new codeshare agreement that will create a streamlined travel experience for guests flying between Australia and mainland China. Guests travelling from China will now have access to an expanded network of Virgin Australia domestic connections within Australia and the trans-Tasman, including Cairns, Brisbane, Gold Coast, Sydney, Canberra, Melbourne, Hobart, Adelaide, Perth and Auckland. At the same time, guests travelling to China can access a schedule of weekly Hainan Airlines-operated services from Sydney to Xi’an, Changsha and Haikou; services from Melbourne to Xi’an and Changsha; and services from Brisbane and Cairns to Shenzhen. In addition to the codeshare, eligible guests under both frequent flyer programs will be afforded with additional customer benefits when travelling on all Hong Kong Airlines operated flights (excluding to and from North America), and on international services between Australia, New Zealand and Greater China on Tianjin Airlines and Capital Airlines. Virgin Australia Airlines group executive, Rob Sharp, said that the partnership was an important step forward in the expansion of Virgin Australia’s offering into Greater China, providing guests with increased access to mainland China and beyond. “Virgin Australia is excited to partner with Hainan Airlines to extend our services into China, and to build upon the success of our Hong Kong services. “As the fourth largest and biggest independent airline in the country, we are confident that Hainan Airlines is the best partner for us to expand into Greater China with,” he said. Flights under the codeshare partnership are now on sale. Chief executive of Hainan Airlines, Jeff Sun, also heralded the growth opportunities that the codeshare provides for both airlines. “Hainan Airlines is delighted to be working with Virgin Australia under the codeshare. “These services will not only help to boost tourism in each country, but they will also provide guests with an exceptional travel experience for a great value,” he said. 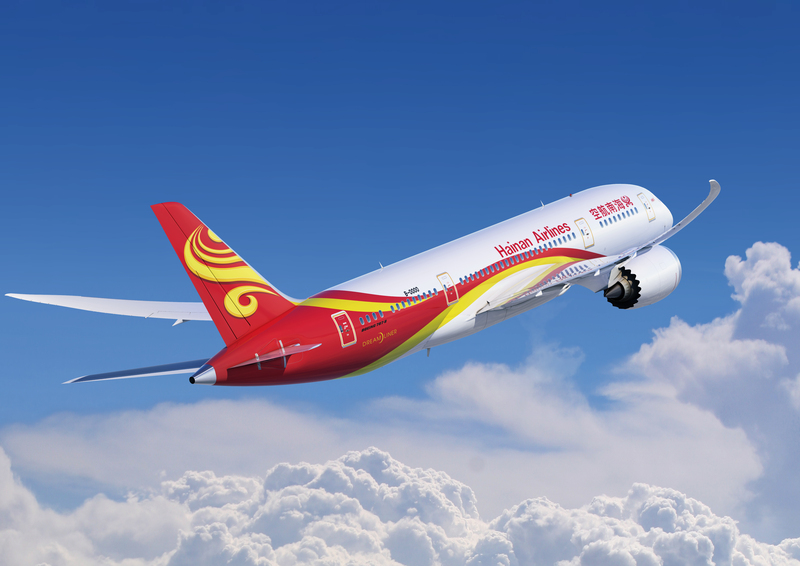 Elsewhere, Hainan Airlines and BBC Global News have signed a major new deal. During a signing ceremony, an Hainan Airlines representative, and Jim Egan, chief executive of BBC Global News, spoke about the significance of this strategic commercial partnership which will see BBC StoryWorks, the award-winning content marketing division of BBC Global News, produce digital and video content for Hainan Airlines to mark the launch of its new route and the beauty of its destinations. 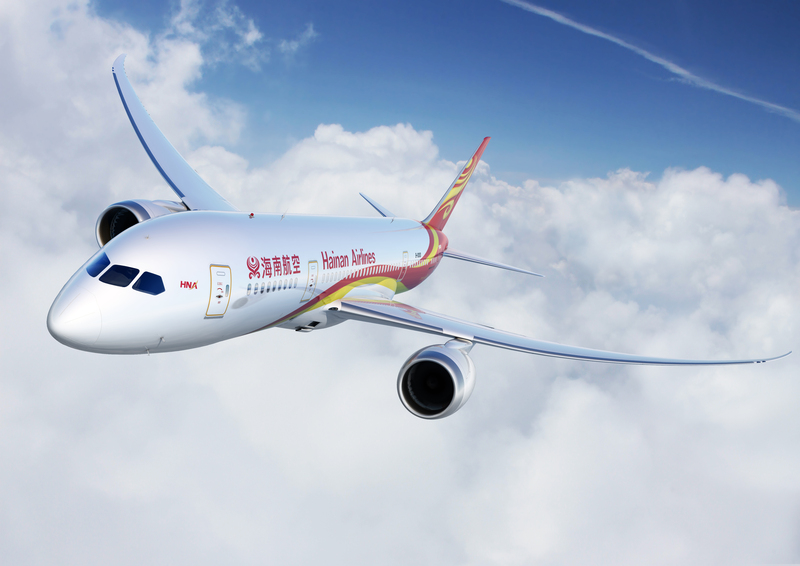 Egan said: “We are delighted to be continuing our partnership with such a prestigious Chinese brand as Hainan Airlines. The partnership was signed at BBC headquarters in London. The Hainan Airlines representative said: “Metaphorically speaking, Hainan Airlines has built an air bridge connecting different cities and regions worldwide, while BBC Global News has built a cultural bridge communicating the diversity of the world in the form of unique and genuine reports. “Our cooperation will not only promote cultural exchanges and integration between China and the UK, but also help in cultivating a healthy and closer relationship between the two countries. Staying with Europe, and Hainan Airlines also recently held a press conference at the Irish embassy in Beijing to announce the launch of new direct flight services between Beijing, Dublin and Edinburgh. The routes, which are the first direct flights offered from Beijing to Dublin and Edinburgh, are now serviced by an Airbus A330 wide-body aircraft on every Tuesday, Thursday, Saturday, and Sunday. deepening economic and cultural ties between China, Ireland and Scotland. Ireland deputy prime minister and minister for foreign affairs, Simon Coveney said: “I am pleased to see that Hainan Airlines will launch the first non-stop service between Beijing and Dublin, providing the convenience of a direct route between the two countries for tourists, students studying abroad and business travellers going to China and Ireland. Hainan Airlines chairman, Bao Qifa, added: “As a trusted brand and a five-star airline, Hainan Airlines, is guided by its mission of creating a better life for people. Hainan Airlines is currently nominated for the title of Asia’s Leading Airline at the World Travel Awards. The winners will be revealed at the InterContinental Grand Stanford Hong Kong during the Asia & Australasia Gala Ceremony 2018. World Travel Awards will be announcing its 2018 Asia & Australasia winners at the annual Asia & Australasia Gala Ceremony to be held this year at InterContinental Grand Stanford Hong Kong, on 3 September.